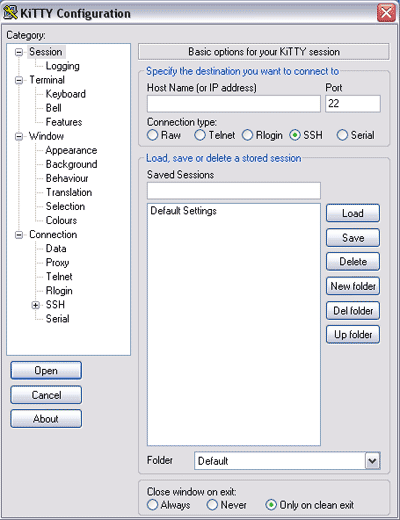 TorChat is a basic, text-only instant messaging client focused on security and anonymity. It includes availability (away, lunch, etc), optional profile, and avatar. The program requires almost no setup: just share your randomly-generated username (e.g. "bkmworoidjwxz5l") to other TorChat users. These are easily created and discarded to help maintain anonymity. The program uses the Tor network's hidden services feature to send messages between peers with authentication and encryption based on public key exchange. NOTE: TorChat has been out of development for some time and connection may require additional steps. Ricochet is an attempted replacement. Fix (regression) buddy context menu not working. [*Windows: Update the bundled tor.exe to current stable version 0.2.2.39. TorChat author has moved the project page. Further development of TorChat will continue at github, effective immediately. I have not yet decided what should happen to this project page and repository here at googlecode, for now I will just leave it as it is and just not update it any longer, I will mark all downloads as deprecated and eventually remove the project page, close the issue tracker and maybe even commit an rm -rf to the svn repository. May be it is worth to update the links. The missing TorChat forum thread- http://www.portablefreeware.com/forums/viewtopic.php?f=4&t=3767 . WARNING: the portability of this program is currently under discussion. 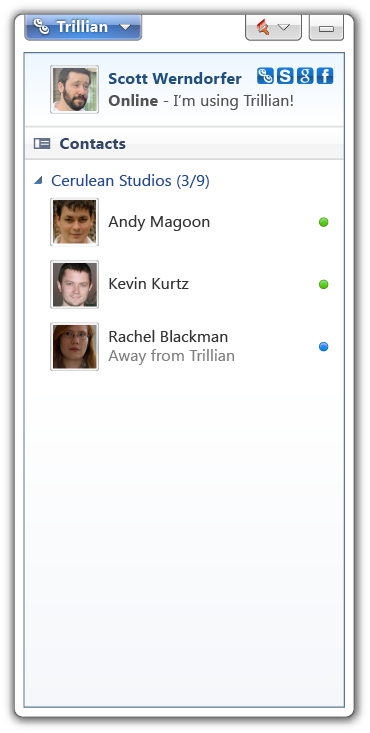 Trillian is a skinnable multi-protocol IM client with a tabbed interface and support for email and social media. Requires creating a Trillian account. Free version contains ads. SkypeKit.exe is being phased out in Windows 8.1 and affects other apps as well such as Miranda NG (which is why I'm giving Trillian a test-drive). Best multi-IM client and email checker I've tested. Works well for me portably. 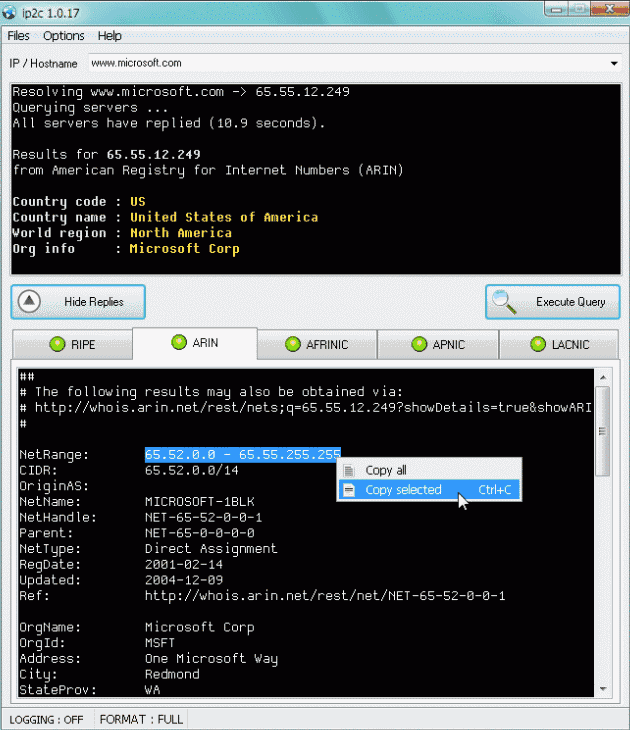 ip2c (IP address to country) helps determine the country associated with a specific address by querying the five main WHOIS servers responsible for major world regions. The program tries to establish the most authoritative location for the IP specified and then return the country's two-letter TLD, the extended country name, its world region, and a description of the organization managing IP (when available). The program can also process a list of IPs stored in a comma delimited file and generate a new file with the country fields added to it. The program is fast, multi-threaded, and queries all the servers in parallel to speed up the overall response time. How to extract: Download the ZIP package and extract to a folder of your choice. Launch ip2c_gui.exe. Fix for some IP ranges allocated to LACNIC. @I am Baas nice find on the new site. Direct download returns an error here though. May be worth updating with the main page instead. GPGShell is a text and file encryption tool using the GPG standard (similar to gpg4usb) with the ability to upload and downloading keys from keyservers and trust levels, revocation certificates, key signing, and more. Stealth: ? Yes. As long as GPGShell is present it will not write settings elsewhere. #3.78 (03.11.2011) - !!! Requires GnuPG v1.4.10 or later !!! - Added the Portuguese translation. when using GPGkeys' GUI for generating keys. - Removed key-size restrictions related to "--enable-dsa2" when generating keys.